Vans and 7 For All Mankind have united to bring us a pair of Performance Denim Snowpants. The pants feature the top telling 7 silhouette, the Bootcut in New York Dark. 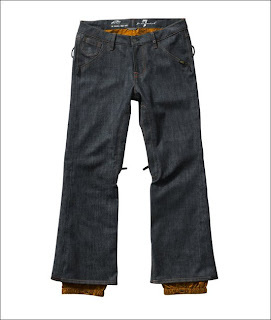 The denim features Vansguard, a waterproofing agent that also allows for breathability. Perfect to keep you safe from the elements. The pants are set to drop in Fall of this year.